Buying Valentine’s day gifts for dads can be pretty difficult. It is very easy to go out a buy predictable presents such as chocolates and flowers but most guys really love electronic gadgets so why not show your dad you care by giving him his very own boys toy this Valentine’s day. If your dad is into fitness then the Timex Ironman Global Trainer with GPS Watch is a perfect choice. 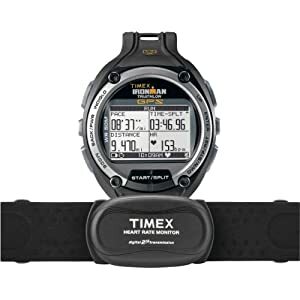 This amazing gadget by Timex records speed, distance with flex tech and heart rate. It is not cheap at $210.87 but if you are looking for a special gift for a sporty dad then this is ideal. 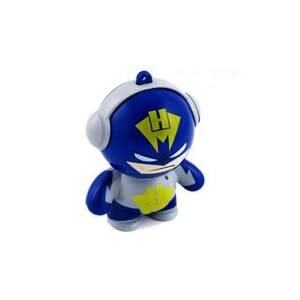 For computer geeks and the office bound the Kikkerland US006 USB Hubman is a must. 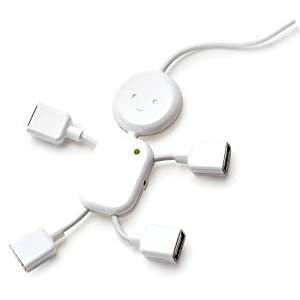 Priced at just $7.99 this cool, fun gadget by Kikkerland is a great organizer and allows you to keep four different gadgets plugged in to your computer at the same time. Add a little light-hearted fun by giving your dad, Headphonies Man – Designer Micro Speakers – the cool gift he will wish he’d had years ago. A limited edition gadget by Headphonies, these speakers designed for MP3 players, cost $19.99 and there are only 1,000 made worldwide so they could well become a collectors’ item in the future. 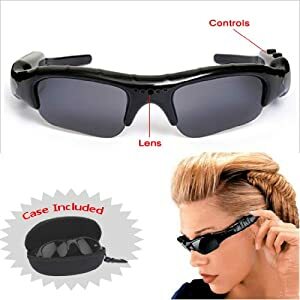 For adventurous types who like to record their outdoor activities with ease, a pair of Video Sunglasses may be the ideal gift. Stylish and elegant, the glasses by DKL come with a concealed video camera recorder, 4GB of internal memory and a micro SD Card slot at the price of $99.99. This gadget records high resolution color video and sound through a discrete lens and microphone. They are great for traveling, skiing, and other outdoor activities. If your dad spends a lot of time abroad then a Franklin TG-490 Speaking Translator could come in very handy for future trips. 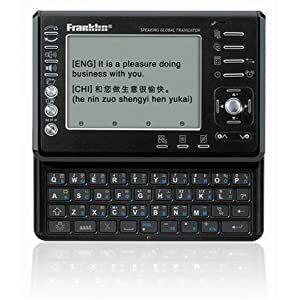 The translator, made by Franklin Electronics, costs $169.99 and speaks over 200,000 translations and 12,000 travel phrases in high quality synthesized and recorded speech. Languages include Japanese, Korean and Mandarin Chinese plus French, German, Italian, Spanish, Dutch, Russian, Polish, Portuguese and English. All the gadgets can be bought from Amazon.com. Prices quoted were those available on January 7, 2011.